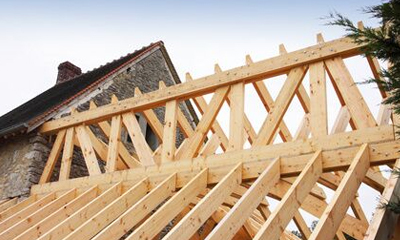 A good working guttering system is important for any building whether it is residential, commercial or industrial. 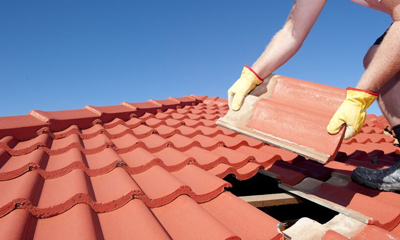 Gutters need to be kept clear and clean to prevent water from becoming blocked up and not able to move freely. 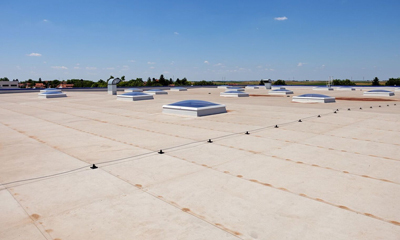 If this occurs, water has no option but to run down the sides of your building eventually causing condensation, damp and mould within your property. 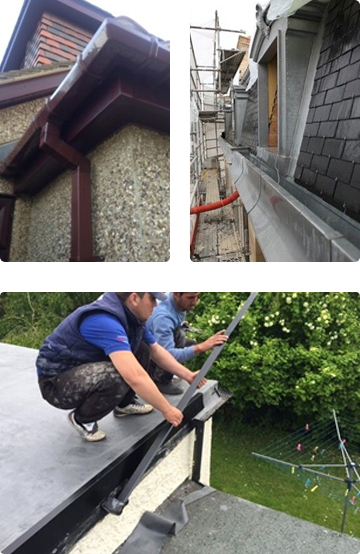 At Jones & Sons Roofing Ltd, we supply and install new guttering systems for home and business owners throughout Hertfordshire and London including areas such as Potters Bar, Cheshunt, Enfield, Barnet, Southgate, Wood Green, Edgware, Borehamwood, Watford, Hemel Hempstead, St Albans, Hatfield, Welwyn Garden City, Hertford, Harlow and all surrounding areas. 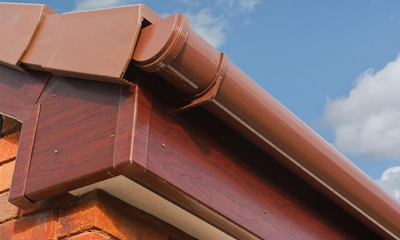 Our guttering, fascias, soffits, downpipes and bargeboards are all made from high quality uPVC and come in a range of styles and colours to compliment any style of property. If your gutters are blocked up by leaves, moss, algae or other debris then we can clean them for you. 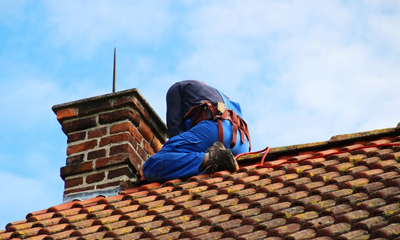 By cleaning, we can also inspect soffits and fascias to ensure there are no repairs that are needed to make sure your guttering system is in perfect working order. 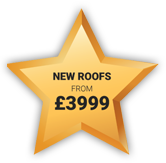 All guttering work is fully guaranteed, we offer competitive prices on our free quotations and we carry public liability insurance of £2m. 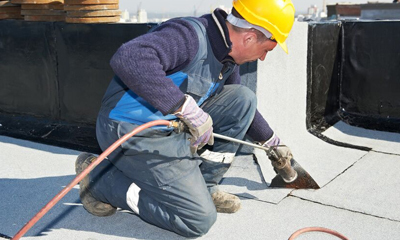 If you are looking for the installation of a new guttering system for any sized property, you simply have a minor repair or you need your gutters unblocked and cleaned, call in the roofing experts at Jones & Sons Roofing Ltd on any of the numbers on the Contact Us page today.